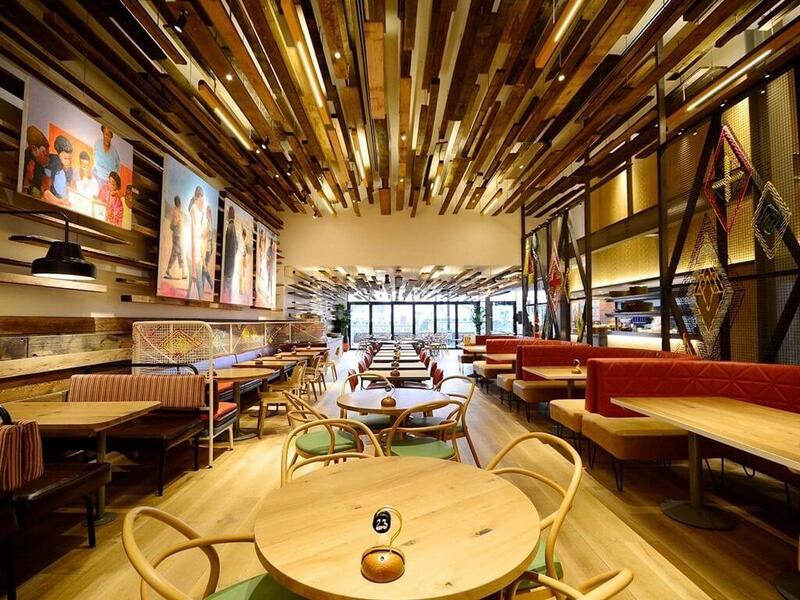 Founded in 1987, Nando’s now operates more than 1,000 outlets in 30 countries, specialising in Portuguese style chicken dishes and peri-peri marinades. Having worked on the refit of a number of new and existing Nando’s branches, we were contacted at the planning stage of the Stratford Upon Avon site to ensure it would be able to generate enough hot water, even at its busiest times. We designed and installed a Splashback Absorber Panel (SAP) Heat Recovery Systems (HRS) specifically designed to recover wasted heat from high grade sources such as the Nando’s chargrills. This is turn generates hot water for the site, with a significant amount remaining which can be tapped into using a heat exchanger. The stainless steel heat exchanger was finished in black/gun metal to ensure it complements the rest of the décor at the site. We also installed a 300 litre indirect hot water cylinder, pump station and associated equipment and cylinder spill tube with an inbuilt water leak alarm to ensure no wastage was occurring. Not only does the equipment installed generate adequate supplies of hot water for the site, it has also resulted in significant energy savings of 822 kilowatts in a two-week period.